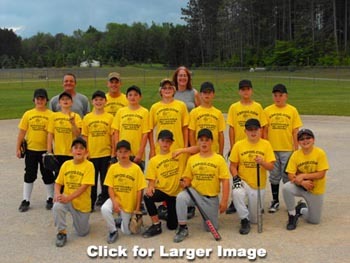 K9Poo.com sponsored a Junior League Boys Baseball team a few years back through the Kingsley Recreation League. Click HERE for pictures of the team. These kids are awesome, and won their first game! Thank You For Choosing K9Poo! I am sad to have to say that due to health issues, K9Poo will not be able to take any further jobs. We appreciate all that have inquired, but it is just getting to difficult to continue. We will continue to maintain our Facebook Page, as we feel it is a great forum to pass local pet news and some humor, but for now, we cannot help you with your poo related issues. Thank you for your support. We believe you should be doing more useful tasks, not scooping poo. By taking the unpleasant job of pet waste removal out of the hands of the pet owner, K9Poo allows you to have more time to spend with your family, your business, and your pets. We pick up the Poo so you don't have to! K9Poo charges affordable rates to fit any need to collect and dispose of dog poo and/or cat litter. We can now take payment by debit or credit cards on site! Own a pet friendly business? Copyright © 2009 K9Poo.com | Website Designed By The Alleydude | This Site RANKS Because Of Affordable SEO!